Festival, Vocal, Music, Music Festival, Janani. Jananiy was born in Tirunelveli, Tamil Nadu, to Shanti and V. Subramanian. She completed her education up to ninth grade at St. Mary's Matriculation Higher Secondary School, Cuddalore where she was awarded with Best Vocalist Award each year. While at St. Mary's Matriculation, Jananiy was also nominated for Pogo Amazing Kid Award conducted by Pogo TV at national level in music category. In 2006, her family relocated to Chennai where she completed her matriculation from Adarsh Vidyalaya Higher Secondary School. She received her Higher Secondary degree from Sacred Heart Matriculation Higher Sec. School with distinction in Tamil. 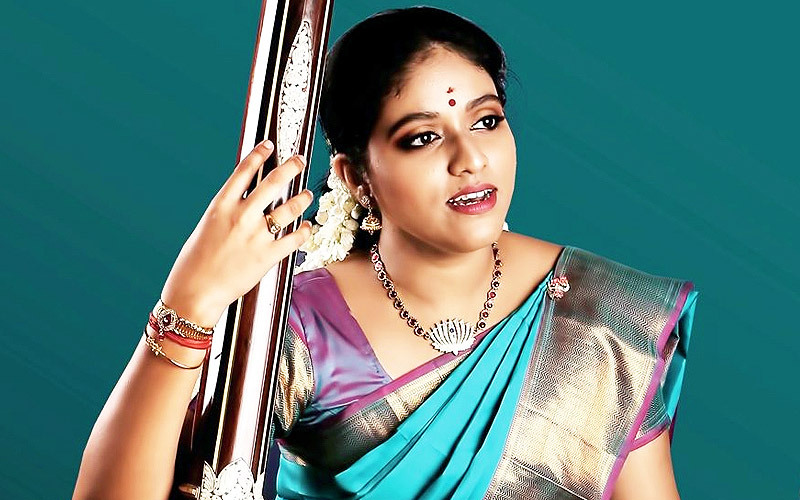 Jananiy has been a disciple of a prominent Carnatic vocalist, Mangalampalli Balamuralikrishna. She also got trained under Neyveli Santhanagopalan, Injikudi Ganesan, Rukmini Ramani, Chidambaram Shanmukham, Geetha Srinivasan & Guru Lakshmi. Jananiy has completed Grade 8 in keyboard as well as Grade 8 in Vocal from Trinity College London, under Augustine Paul and V. Giridharan. She continued ATCL in Western Classical Vocal at Trinity College London. Jananiy learnt Hindustani classical music under the discipleship of Pandit Kuldeep Sagar and completed Senior Diploma from Prayag Sangeet Samiti, Allahabad. Jananiy started her career at age of 5 by performing in her first stage show in Cuddalore. Over the years, Jananiy has performed in more than 1000 stage shows of Carnatic Classical Vocal, Fusion, Bhajan, Devotional and Light Music and also gave more than 100 Carnatic Classical keyboard concerts. At age of 8, she was recognized as Saadhanai Naayaki (achiever) by Tamil language weekly magazine, Ananda Vikatan. Dinamani, a Tamil daily newspaper, named her Eazhu vayadhu Isai kuyil (seven years old cuckoo) and Vairamuthu, a prominent Tamil poet and lyricist titled her Nee En Magal (my daughter from then) in an interview to a Tamil weekly Kumudam. Jananiy's debut album, Natha Oli, was released in 1999. Natha Oli was fusion of Carnatic Classical Vocal and keyboard. The music director of the album was Kumardeva and it was released by JSJ Audio. After the release of her first album, she regularly participated in the Thiruvaiyyaru Thyagabrahma Utsavam and performed at Thiruvaiyaru Tamil Isai Mandram. Jananiy also performed at Kodai Vizha Festival organized by Government of Tamil Nadu. Jananiy made the musical arrangements and produced music for Carnatic Symphony-Cleveland Thyagaraja Aradhana Festival that was held in Cleveland, Ohio, in 2014 as well as in 2017. She was awarded with Sangitha Kovidha from Gayathri Fine Arts & Lakshmi Kuppuswamy Trust, New Delhi in 2015. She also received Bharathi Award from Vidiyal Charitable Trust & The Dawn Cultural & Social Association later that year. Jananiy composed music for the Tamil Movie Prabha that got launched in 2015. As of 2017, she has released 30 albums in various genre apart from jingles and private songs.